Last week at the New York Toy Fair we saw the first evidence that 20th Century Fox was planning to make an R-rated Wolverine 3. Coming as it did, on the heels of the Deadpool’s opening weekend success, it looked like the studio may have been opening up their comic book movies to more possibilities, now that they knew that an R-rated hero could still win the box office. 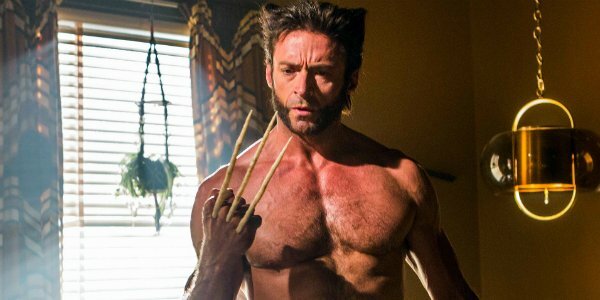 Now, it looks like the plan was always to make Wolverine 3 a more adult affair, as the script is reportedly quite violent. According to a story in The Hollywood Reporter, the screenplay written by Michael Green, who is also helming the scripts for Alien: Covenant and the Blade Runner sequel, has a level of violence, and, we would assume, language, that would guarantee the movie receive the R-rating. While Hugh Jackman has been making comments that the unusually long script writing process has been difficult because he wants to make the movie perfect, it appears that they’ve had little constraint from 20th Century Fox as far as what they can do to make it so. Maybe they just have too many options now. While Deadpool may not be the reason that Wolverine 3 is rated-R, its success is probably causing studio execs to breathe a sigh of relief in relation to Logan’s last outing. While a successful R-rated superhero movie is officially no big deal, as of right now, it was relatively unproven as little as two weeks ago. 300 and Watchmen both performed admirably at the box office, though many others struggled. One has to wonder if Fox would have made changes to Wolverine 3 if Deadpool had flopped. While the script's details have not been confirmed, the current rumor is that Wolverine 3 will take inspiration, if not be a direct adaptation, of the well received Old Man Logan comic storyline, which sees our favorite mutant as an elderly man in the far future. The story makes a lot of sense for a number of reasons. It would separate the film from the numerous other X-Men related projects, so they wouldn’t need to worry about much in the way of continuity. It would mostly conclude Wolverine’s story if the plan is to retire the character, while also giving them space to recast him for "modern day" films if they decide to do that. Finally, it’s a fairly violent story, which would put it in-line with the perceived rating. Wolverine 3 is scheduled for release barely more than a year from now, so the movie is expected to enter production soon. As it does, we will likely begin to get a taste of what sort of violence Logan has in store for us. Do you agree that finally removing the restraints and letting Wolverine go full berserker is the best way for the character to sign off?